Feliway Diffuser - Wall Outlet Plug In Device 48ml creates a state of familiarity and security in the cat's local environment. Feliway Diffuser - Wall Outlet Plug In Device 48ml is a synthetic copy of the feline facial pheromone, used by cats to mark their territory as safe and secure.By mimicking the cat’s natural facial pheromones, Feliway creates a state of familiarity and security in the cat's local environment. As a result, Feliway can be used to help comfort and reassure cats, while they cope with a challenging situation and/or help prevent or reduce the stress caused to a cat during a change in their environment. Always consult your veterinary surgeon if your cat is showing signs of stress. Your cat's problem may be of a clinical origin and may require further treatment. 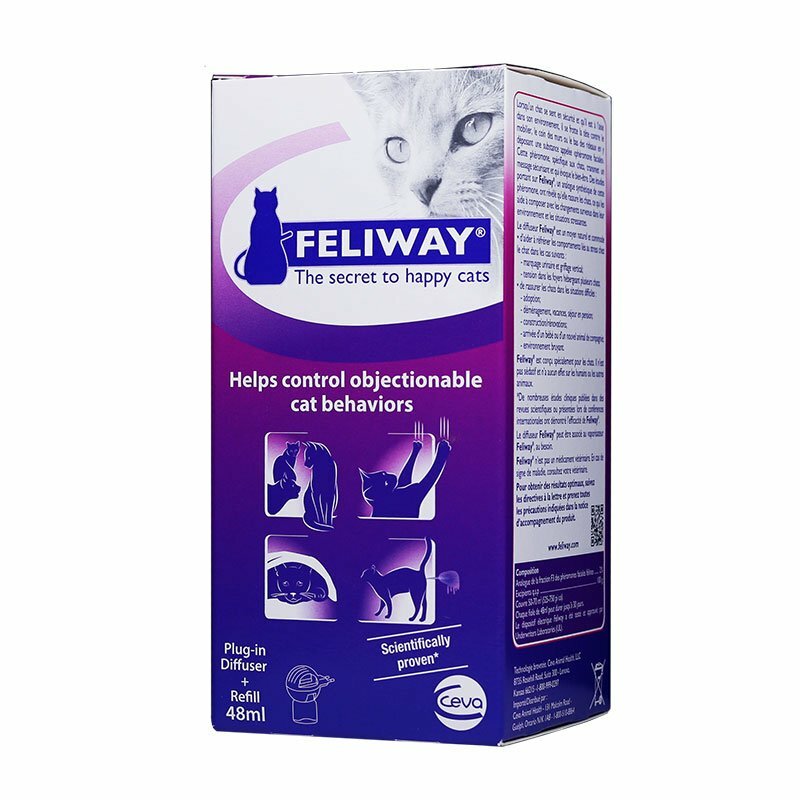 The device and the refill are specially designed for the Feliway® Diffuser. The product cannot be guaranteed if a different device is used with the refill. Similarly, the electric device should not be used with another substance.